Hey Mr. Business, Are You Kragleing the Curriculum? 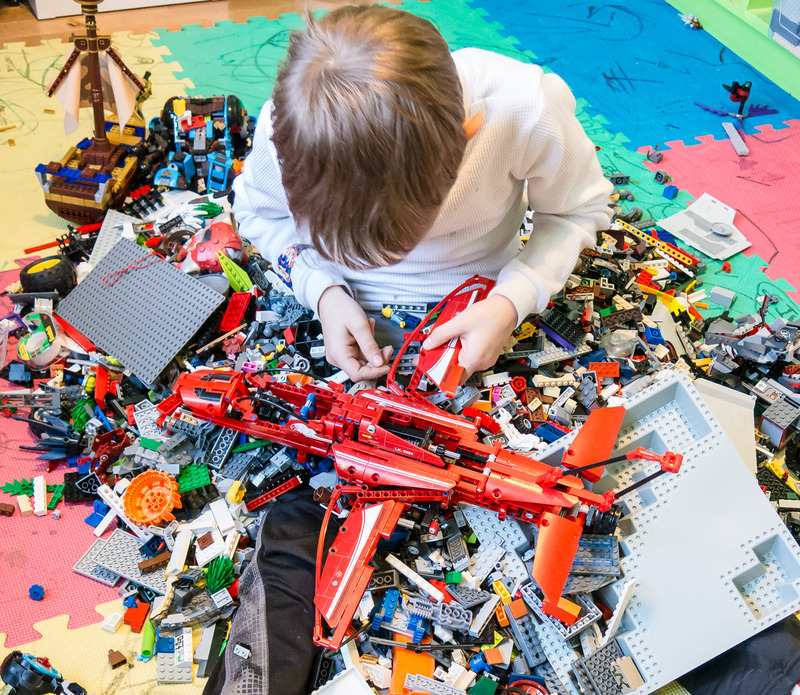 10 Lessons from The Lego Movie for Principals Looking to Inquiry to Solve Learning Needs. Buried in Lego with a smile on his face! Two things were informative to me last week. The first was watching the Lego Movie with Zoe, Gavin, McKenna and Tricia. The second was my dialogue with 8 teachers around the use of inquiry based learning as a primary pedagogical method in the classroom. These two experiences happened over two days and the parallels were more than evident. First, The Lego Movie. I loved it. The movie was excellent. 5 stars. The kids didn’t stop laughing and neither did I. Gavin has been saying everything is awesome. The whole time I watched I could not help but draw on the metaphors in the movie for inspired teaching and learning in an inquiry based classroom. I know I was supposed to be entertained not thinking about work. The fact of the matter is I am always thinking about work. Work for me is learning and learning is the work so it is pretty inherent that as I experience life I think deeply about how learning has shaped who I’ve become. The dialogue I had with three separate teachers around the concept of an inquiry based classroom brought forward three common themes: 1. Trust is Key 2. Learning is Messy and 3. Let’s Dialogue About This Together. I captured some audio of three of the 8 teachers below. As I listened to each of them and physically witnessed inquiry (at different stages) happening in the classrooms the connections to The Lego Movie continued to deepen for me. After a conversation with fellow educator Mrs. Wideen (@mrswideen) we agreed that the classroom parallels to the central theme of the movie could not be ignored. We agreed to do our best to somehow draw on these parallels in a blog post. Let me introduce Kali to offer some background information about the pedagogy of inquiry that these teachers have been experimenting with. Listen to Ms. Sak discuss the process. 1. The Man Up Above. 2. The Piece of Resistance-Put a Lid On It! Now that we have clarified your possible reliance on positional authority in leadership I would like you to consider putting a lid on your opinions. I, for one, know that my opinion is offered far too much. I have learned to ask many clarifying questions before asking a probing question. I attempt not answer questions from teachers, especially ones that start with “What should…” or simply “Should I…” I have learned that the word should places the onus of responsibility on the person answering the question. True it is just a word. True it is a word that people use without thinking. True it might not mean what the user intends it to mean. I ask us all to be more cognizant of the words we use and the meanings they may have. I function with this in mind: The words we use are representative of the thoughts we have. The thoughts we have are representative of who we are. If I use the word should all the time I am behaving from an area of myself that functions on guilt and “arms-length responsibility”. Put a lid on the “shoulds” and the “buts” for that matter. Inquiry is about letting go of the rules a bit. It is about not relying so much on what traditional school is “supposed to” look like. Certainly it will not sound like a traditional classroom setting. During the initial stages of inquiry processes there will be judgement. People will have an opinion about the noise, the play, the fun. Listen carefully Principals: “Let this not be you!” Instead ask questions and learn alongside the teachers and students. 3. Now that you are allowed to play down here, We have to invite your sister! Let the good news and fun be shared. Find innovative ways of sharing learning stories with the world. Blogs, Twitter, Youtube and Sharepoint newsfeeds are all good options. Resist the temptation to offer space at your next staff meeting to have the superstar inquiry teachers present all the good stuff they are doing. Find ways to make organic connections between your teachers that are taking risks and seeing successes and those that still may be nervous or petrified of these new innovations. Teams of teachers (not individuals) at Eastwood and Dr. Suzuki are engaging in these processes. As a Principal investigate how you have determined teams of teachers. How do you develop succession planning for students coming from an inquiry based setting to one where these processes are still only ideas. Getting teams working dynamically is no small task. Trust is the key to these relationships. Getting along is is easy. Truly dynamic teams can function even better off dissonance. A positive attitude is contagious. Overpriced coffee is delicious. Smile. Buy some coffee for staff. Stop worrying. Follow the Blunt Educator on Twitter for a couple laughs. Staying positive and having an optimistic attitude is the reason you are in the position you are in. I am not telling you to ignore reality instead create an alternate one. Find a way to learn with and from your teachers and students. Make a way to experience awesome. 5. I’m a normal Principal. Emmit was a “normal construction worker.” You are a normal Principal. What does this mean? Explore what normal is for you by challenging those beliefs with some new behaviours and modes. Park in a different spot. Have coffee and do some paperwork in the Learning Commons. Start an audioboo account and share short conversations with teachers and students for others to hear. Basically stop being so normal. You really aren’t normal anyway. None of us are. Miss Martin made a statement that I consider to be on of the most profound I have heard when discussing her practise. She stated simply, after describing that her methods were not achieving the learning results she had planned for, “I reflected and realized that I was the problem.” Reflection, for a Principal, at this level is not entirely normal. I dare you to be more abnormal. When Principals take learning risks teachers do to. Like Miss Martin did, take responsibility for your reality. 6. Where are my Pants? Inquiry based teaching is not about product. It is about process. While collection and curation of learning products may be an end process the inquiry itself will certainly catapult further learning. Have you ever had one of those dreams where you were at work and then realized you weren’t wearing any pants? Embracing inquiry based learning pedagogy in your school can be quite similar. You freak out a bit, hide in your office for a bit. You peak around corners and then finally wake up to realize everything is okay. You have pants on, the kids are learning and the teachers are energized by the engagement that their students are exhibiting. 7. “Numbers, Numbers, Numbers, Business, Business…” A Lesson from UniKitty. I laughed outloud when Unikitty was doing her impression of Mr. Business trying to confuse and hold up the robots and micromanagers. Mr. Business exclaimed: “All I demand is complete perfection, now. . . send in the Micromanagers!” There is a chance that if data is all you use when helping get to the Why then all they are hearing is UniKitty blah. Find a way to draw on the why of our needed and intentional actions. If you are interested in how “Why” motivates folks watch Simon Sinek explain his thinking. The curriculum is the starting point for learning objectives. Much like Lego we can use these as building blocks, we can interchange and mingle pieces from other sets. We can group, ungroup, map and link new pieces to create something that was better than the illustrations on the front cover. Teachers are master builders and facilitators of learning. If you are Mr. Business gluing stuff down, locking it in place, boxing it up and putting it on a shelf you are Kragleing the Curriculum. Give your teachers freedom and they in turn will give children more freedom. 8. Bandaids, Batteries, Boogers and Legos. Learning in here is a mess! 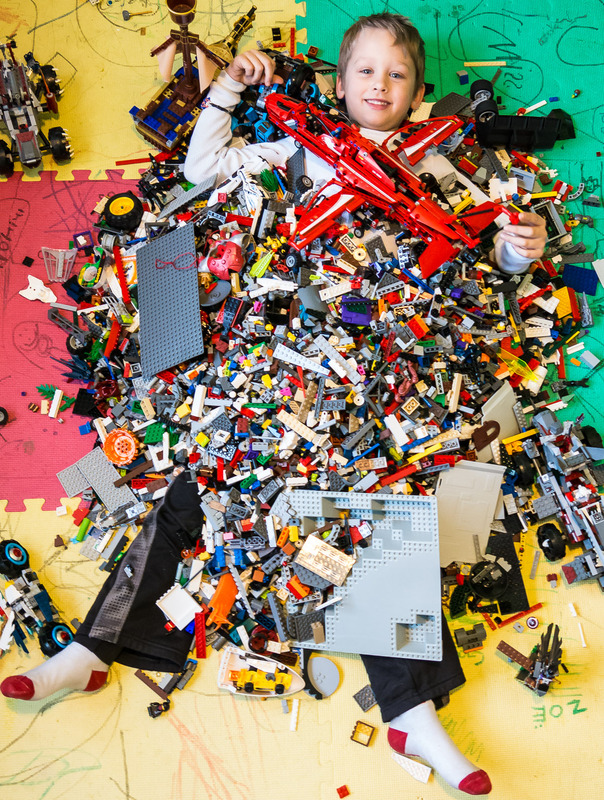 You can find everything in a tub of Lego. I have found the garage door opener, my watch, money, jewellery, dead insects and everything else that could somehow come into play when creating with Lego. Miss Martin describes that for her students learning is messy. Listen to S.Martin on her Inquiry Journey. 9. Cloud Cuckoo Land is not to be Feared. Inquiry based classrooms are not to be confused with chaos, disorder, recklessness or my fav. “A Free For All.” On the contrary teacher facilitators dialogue, plan, revision lead and teach through the entire process. We are not talking about abandoning curriculum, throwing expectations out the window and allowing the children to rule the room. Teachers at Eastwood and Dr. Suzuki school have used open, mini and curriculum based inquiries in order to engage the children in the complexities of the learning process. At Eastwood teachers use the mentor text Comprehension and Collaboration by Harvey and Daniels. Find more resources and starters at Inquiry Based Learning. 10. You are the Special. My good friend Dr. Jeff Hillman (@learningstance) used to tell me, “You make the weather James.” Others have said, “When the Principal sneezes everyone gets a cold.” I understand both of these analogies first as a teacher myself and now more deeply and fully as a Principal. I really like the Lego metaphor best though. As the Principal you are the special. Just like every teacher and more pointedly every student in the school is the special. If it breaks I can rebuild it. To Read Mrs. Wideen’s blog post on the parallels to The Lego Movie please visit: mrswideen.com!